The previous week was arguably a good one for Real Madrid especially in the La Liga after they closed the gap on Barcelona to level points. This was after the Catalans unexpectedly dropped two points at home to Girona on Sunday. Well, it was a good outcome for Julen Lopetegui’s men. Regardless, last week showed some relative dynamism in the Real Madrid side. Relative, because it can be interpreted in many ways. It might be necessary to always have that reliable consistent goalscorer who’ll be putting away those chances in their numbers when they come. However, a team that parades a group of players where anyone can be the go-to man on the day is also an excellent proposition as it gives more headache to the opposition. If that reliable attacker is marked out of the game or has an off day, then the outcome of the game for the side is at his mercy. However, if there are many attacking threats, then the team is more dynamic, and surely, one will be in the frame to provide the goods for the side. This was the story of Real Madrid in the two fixtures last week. First, against Roma in the UEFA Champions League, and lastly, against an in-form Espanyol in the La Liga. Julen Lopetegui’s men scored 4 goals in the two games, with all coming from different scorers. This is a sharp contrast to what was attainable at the Bernabeu seasons ago on a consistent basis where Ronaldo would always end up with the lion share of the goals when an opposition side was beaten or pummeled. 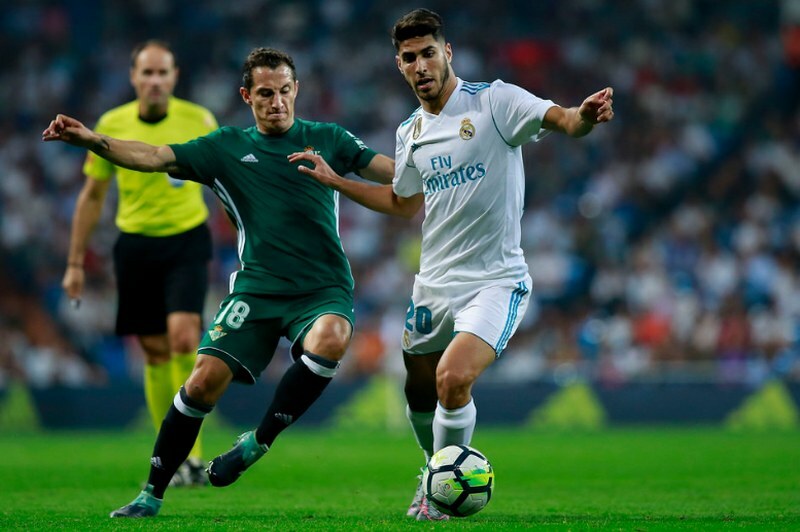 Under Lopetegui, all attackers in the Real Madrid set up have the chance of hitting the back of the net as they play for each other and not one person is the focal point of the attacking moves, at least not yet. It’s a good omen for Real Madrid at this point in the season. It was also a good one for Madrid as Benzema’s supposed competition, Mariano Diaz, announced his arrival in style with the sublime screamer against Roma in the Day 1 of the 2018/19 UCL competition. Julen Lopetegui will have to identify someone prolific enough who’ll be the focal point of his attack. Meanwhile, the likes of Asensio, Isco and Gareth Bale have been exciting thus far.